As I write this in the morning hours it is still dark. I can hear the distant rumble of morning traffic and somewhere there is the rhythmic beat of a machine, probably a pile driver down by the port. Darkness still envelops me in a comforting mantle of security. It is all an illusion. Because my security is often purchased at a great price. Out there in the city others are suffering. The people are in darkness. In this last week of Advent coming up to Christmas this reflection on darkness and on ‘the people in darkness’ comes to the fore. This juxtaposing of darkness and light is a consistent and original biblical theme. We hear its echo in the Benedictus in the prayer of Simeon. Dawn is coming for those who live in darkness. Christ is not only the bringer of light, Christ is the light. Evolutionary anthropologists can trace for us the origins of our fear of darkness and of the great victory for human flourishing achieved by the makers of fire and light. But this victory is itself illusory. The darkness of the soul lies very deep, often beyond the reach of even the most powerful light-making tools at our disposal. Today, many live in darkness: the imprisoned, the homeless, the asylum-seekers in direct provision regimes, the victims of online-bullying, the many brave people challenged by mental illness and depression, the young denied the hope of employment. The list goes on and on. And, yet, we dare to believe in the light, to hope for the light. Why? Because. like our ancient forebears, we know that light exists and that it can be made to happen for us. We just need someone to provide the spark. Jürgen Moltmann, the famous German theologian, reflected on the theme of Christ, our Light, in his 1983 book, The Power of the Powerless. The darkness against which we struggle is, for him, are those forces in our world that cause human oppression. Right now we can think of so many. He tells a very personal story of his own experience of suffering. It relates to the years he spent as a prisoner-of-war at the end of World War II. A people in darkness: let me add a personal word; This phrase touched me directly when in 1945 we were driven in endless and desolate columns into the prisoner-of-war camps, the sticks of the guards at our sides. with hungry stomachs and empty hearts and curses on our lips. But many of us then, and I was one, glimpsed the light that radiates from the divine child. This light did not allow me to perish. This hope kept us alive. Luckily for him, his time in English prisoner-of-war camps was relatively benign. But he returned to a devastated Germany, a country in ruins. This experience was the spark that led him to reflect deeply on the meaning of suffering, on the tragedy of history, and, more significantly, on the role of Christians in a suffering world where the powers of darkness still hold sway. As we celebrate Christmas let us not allow ‘the dangerous memory’ of human suffering to dim. Let us renew our commitment to be a light for the world in our own personal and local circumstances. 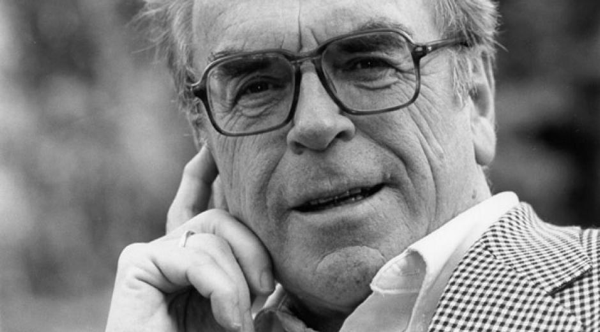 Jürgen Moltmann, The Power of Darkness, SCM Press, London, 1983. God’s wisdom also helps us to look beyond ourselves to see the goodness in our cultural heritage. Your culture teaches you to respect the elderly. As I said earlier, the elderly help us to appreciate the continuity of the generations. They bring with them memory and the wisdom of experience, which help us to avoid the repetition of past mistakes. The elderly have the “charism of bridging the gap”, in that they ensure that the most important values are passed down to their children and grandchildren. Through their words, love, affection and presence, we realise that history did not begin with us, but that we are part of an age-old “journeying” and that reality is bigger than we are. Keep talking to your parents and grandparents. Do not spend the whole day playing with your phone and ignoring the world around you!